It was presented as an appropriate tool for different kinds of audience. On one side, children, thanks to it, they can learn the vital cycles; high – school students, who can check it whenever they study microscopic and atomic structures; not to mention continuing education students, who could use it as a relevant document in order to study the basic units of the living things. University students enrolled in biology courses could use this video as a study tool regarding compared embryology, since it includes a comparison with vertebrate embryos, this short video can very useful for such purposes. 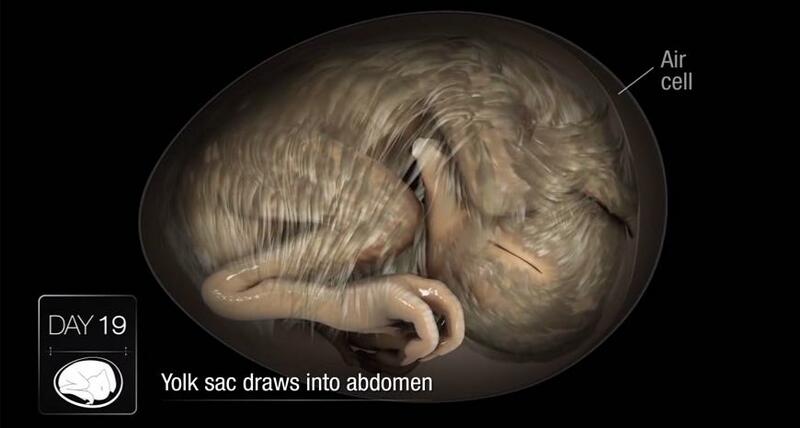 The Australian CRC firm created an educational video lasting two minutes simulating the development process of a 21-day chick embryo inside the egg. This interesting video is available for free, it was uploaded to the YouTube website and combines a friendly aesthetic along with the required scientific rigor. It was presented as an adequate tool for different kinds of people. On one side, children who can learn the vital cycles; high school students, who can check it whenever they study microscopic and atomic structures, and continuing education students, who will be able to use it as a relevant document to study the basic units of living beings. Biology university students will be able to use this video as a compared embryology study including vertebrate embryos, to sum up; this short animation video can be very useful. The CRC education director, Liz Roan, pointed out that it was “a difficult task”, but very stimulating, nonetheless, she is very satisfied with the outcome, an outcome covering many kinds of audiences, we talk off a “clear, detailed, precise and interesting” product. The AXS firm in Toronto was the digital video illustrator.